Our bodies treat the birth of our silent children the same as it would a living child. 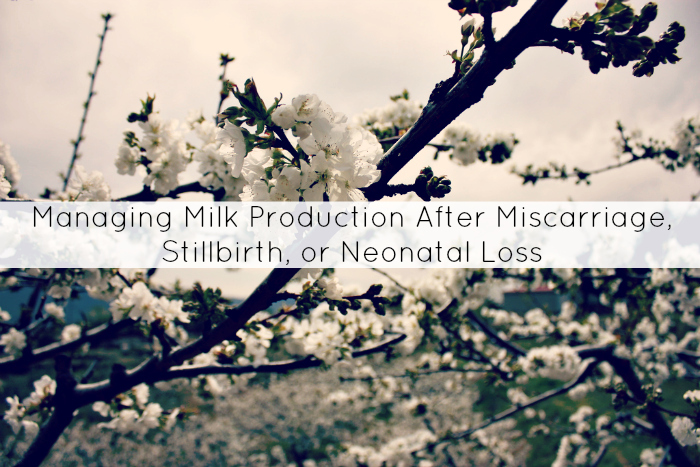 Second trimester miscarriage, stillbirth or neonatal death brings with it an added trigger of milk production. Typically, 2-7 days after birth, milk production starts and it can not only be a big trigger, but physically painful as well. There are ways to ease the engorgement and transition to drying your milk, or other options that may be a help to your grief. Hormones after a full-term pregnancy are the same after late miscarriage and stillbirth and with that comes the body’s natural hormones and preparations for a newborn. It’s an especially delicate time for those who have just experienced loss as both the trauma, the hormones and the new changes are being thrown at you all at once. Watch for red, hard and painful areas of your breast, it could indicate a clogged duct. If you develop a fever and painful breasts, see your health care provider. There are some people who want to find meaning in their loss and may find comfort in being able to donate their breast milk to a baby in need. If you choose to do this, it’s a wonderful gift, but be sure to realize that you do not need to make sense of your loss in this way. It’s a personal choice and decision that some may feel helps them cope and manage their grief.